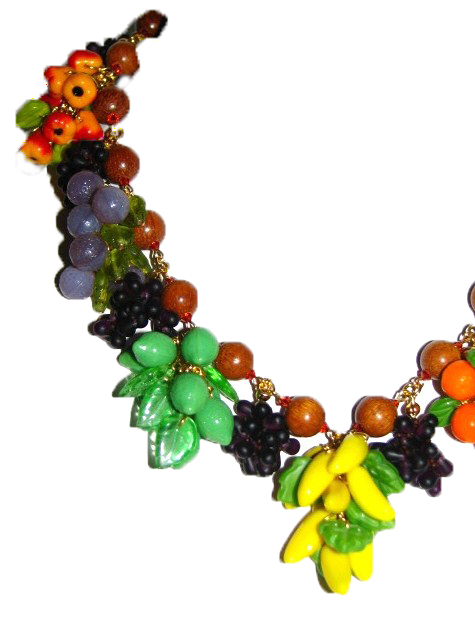 Nature's bounty ~ heavily beaded fruit necklace with large clusters of handwired glass fruit charms - oranges, bananas, limes, lemons, plums, & pears, with handwoven purple grape clusters. 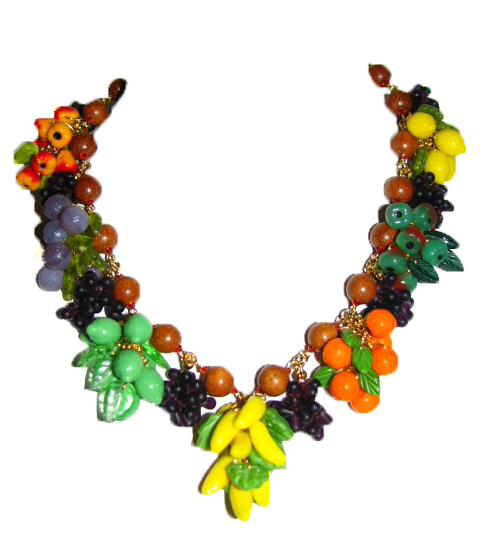 Necklace is made up of brown wood beads and Swarovski crystals, gold plated findings, signed Julia Bristow. (Please note item shown is example and your piece will vary slightly as each is a one-of-a-kind creation made at time of order.) Please allow 4-6 weeks for delivery.